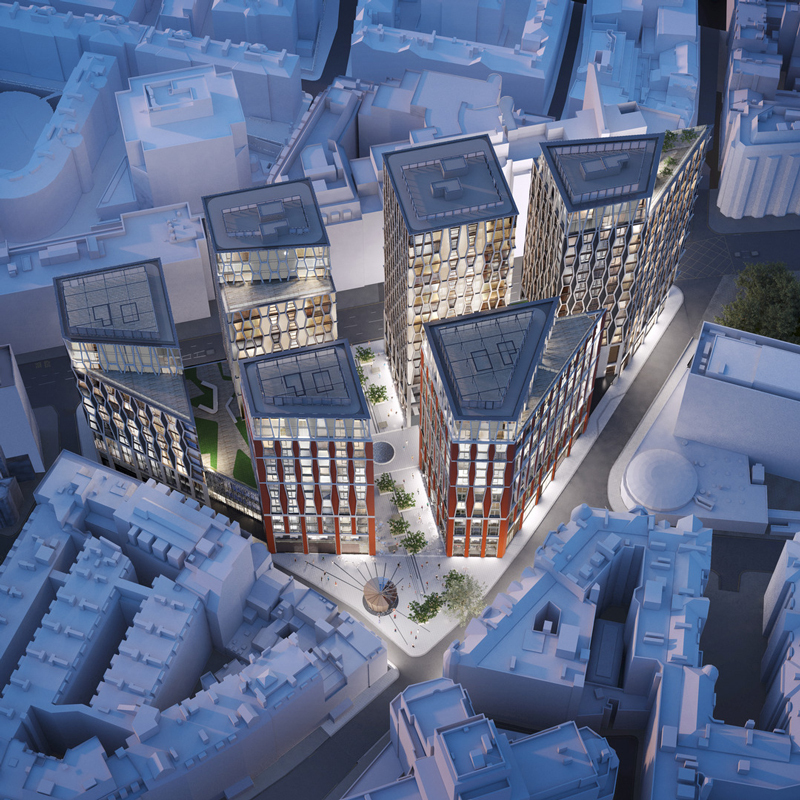 A new mixed use development comprising six buildings ranging from 14 to 20 storeys and providing retail, office, and residential uses along with new public realm and a retail pavilion. Replacing an existing post-war office tower and slab adjacent to a conservation area but at a larger scale, the new buildings affect sensitive townscape and views, including strategic views of The Palace of Westminster, Westminster Abbey and St Margaret’s Church World Heritage Site. Design development advice and Townscape Visual Impact and Heritage Assessment.